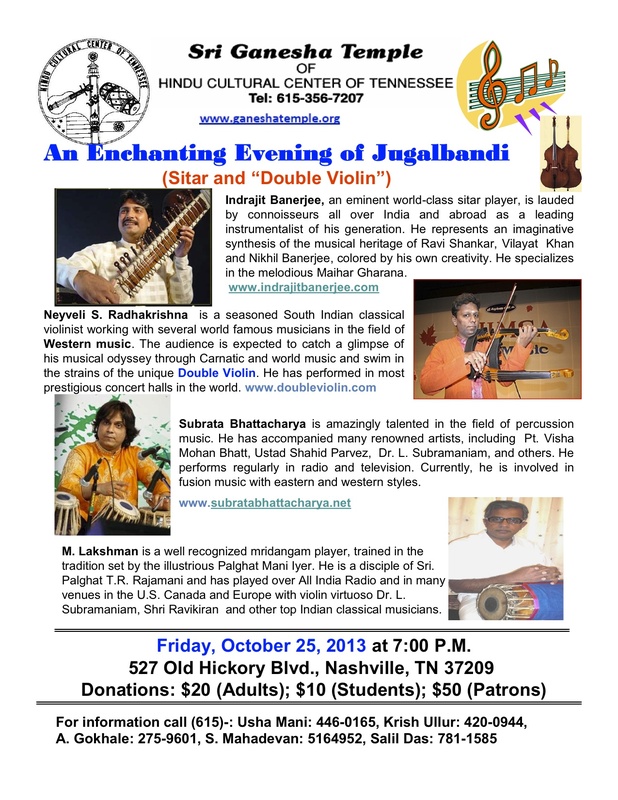 For concert booking, email sitaristbooking@gmail.com or call 512 696 3309. 1/23/18 Subhe Banaras Assi Ghat / Hindu International School performance. 2/4/18 Dhaniakhali Sa Ma Dha Jalsa. 3/7/18 Demonstration of Sitar ,Grapevine High School 3223 Mustang Dr Grapevine, TX 76051. 3/8/18 to 3/11/18 Justin McCoy ( H.B.O.) event 4pm to 6 pm every day . 3/10/18 Hilton Hotel Sitar Ji 8 pm. SXSW. 3/10/ 2018 One -2 -One Atash. 3/13/18 Russian House Sitar and Tabla SXSW. 3/15/18 Atash Russian House SXSW. 4/7/2018 Amala Foundation (Atash) 5 pm / 10 pm One-2-One Atash. 4/13/2018 PRIVATE EVENT Austin . 5/12/2017 Green Pastures Atash Wedding . 5/29/2018 Musical Bridges School Concert Series with Gouri Sankar . 5/30/2018 Musical Bridges School Concert Serie with Gouri Sankar . 6/2/2018 Atash at Maccican American Cultural Centre 8 pm. 6/14/2018 7:30pm Mohammad Firoozi 8801 Research Bvld. 9/ 24/17- Monster Indiana Lincorn Centre . 12/23/17- Atash Vino Mio in Corpus Christi. 5/1/16 Sitar Concert, Bob Bullock Museum, Free Concert Series (4-4:45PM). 6/5/2015 SunRay project CD Release -North Door Austin. 10/22/2015 Art Outside Festival ( Atash). 10/27/2015 Performing Art Centre Texas State University ( San Marcos). 6/3/2009 Central Market, Austin Texas with Darin Layne. 9/12/2008 Café Mundi. 10th anniversary celebration. 4/18/2008 Sitar concert Knoxville, TN. 4/19/2008 Sitar concert in Nashville, TN. 4/21/2008 Red Fez with 6 degrees in Austin, TX. 4/23/2008 Red Scout Inn with Atash, Austin, TX.